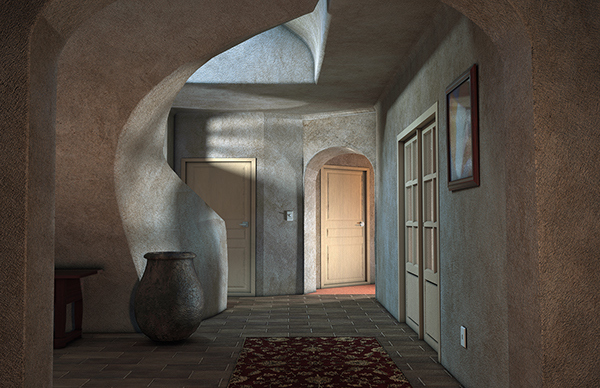 Home with photorealistic lighting, Set in a Spanish home style, I felt the textures helped complement the warm interior lights and cooler natural outdoor lighting. Modeled, textured and lighted in Maya. Rendered using Mental Ray. Color and depth of field passes are applied in After Effects/Photoshop.